The declining cost of "green" technologies is making it easier and easier for homeowners to retrofit them - and for builders and developers to incorporate them into new homes. * Go smaller. This doesn't mean that you should give up on your dreams of a spacious home for your family, just that you need to make sure that there is no wasted space. Writing in the Property Signposts newsletter, he says: "Every square meter of your new home will need cleaning, lighting, heating or cooling, securing and insuring, so plan your build or purchase carefully around your own lifestyle to ensure that there are no unused rooms or areas consuming precious resources for no return." * Focus on water. This is an increasingly scarce and expensive resource so you should do as much as you can to conserve it and reduce consumption. "Plan for tanks to capture all the rainwater from your roof that would otherwise go to waste, and for a greywater system if you can afford it. "If your home is on a slope, find a way to use the rain runoff in the garden instead of just piping it off the property. Incorporate interior fixtures and appliances that conserve water such as tap aerators, water-efficient toilets and Energy Star-rated washing machines and dishwashers." * Go solar. 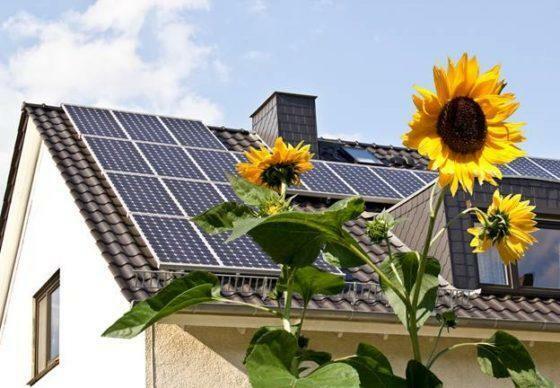 The sun is the ultimate source of clean, low-cost energy and when you build or buy a new home, you have a great opportunity to plan for solar power use in a way that owners of older homes can't, he says. "By making solar power the native technology in your new home, you can take advantage of light and geography to get the most efficiency and energy for your investment. How you position your home on its stand and where you place solar panels and water heaters can have a significant impact on the power you collect." * Insulate the roof. This is one of the easiest and least expensive ways to save energy and keep the running costs of a home down, Everitt says. "It will reduce the need for heating in winter and cooling in summer and create a much more pleasant living environment. There are many different kinds of insulation available but recycled cotton or paper are the most 'green' options."